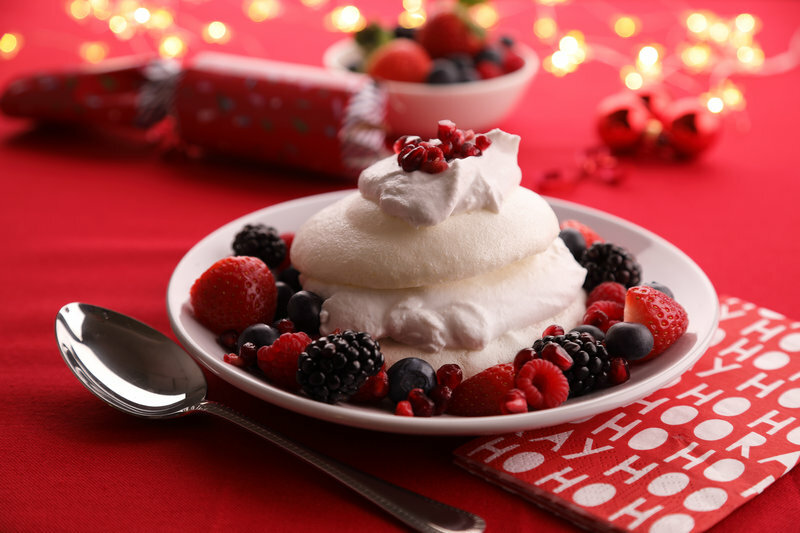 Pavlova is the ultimate, indulgent dessert for Christmas. This egg-free version uses berries straight from the freezer, which avoids any fresh fruit going off. Preheat oven to 110 °C. Whisk the chickpea liquid with an electric hand whisk to form a meringue mixture with soft peaks. Add the sugar in increments, whisking in between each addition. Spoon the mixture onto two tins lined with baking parchment and bake in the over for approximately 150 minutes. Skim the cream from the top of the tins of coconut milk and whisk with the vanilla extract and a little of the clear liquid left in the tin until it resembles whipped cream. Layer the meringue and coconut cream with the berries before decorating with the remaining berries to serve. This yeast free bread is easy to make and is a great way to use up either leftover ham or bacon and tomatoes. Delicious on its own or topped with cheese and ham for a snack or light lunch.